The Proud Bird Food Bazaar & Events Center is taking flight and you can too! 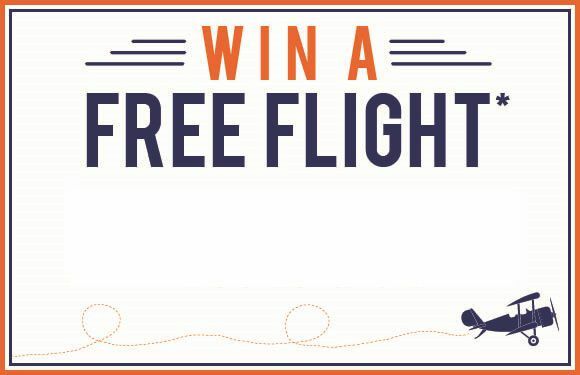 Enter the Proud Bird Sweepstakes for a chance to win a FREE flight valued at $1,000! Enter Today! 3 Easy Ways to Win! Option 1: Join the Proud Bird Loyalty Club! Become a member by visiting the Proud Bird Food Bazaar and completing The Loyalty Club application or sign up online at SpecialtyRestaurants.com/loyalty. Option 2: Present your Loyalty Account. By presenting your Loyalty Account at The Proud Bird, with or without purchase, at The Proud Bird, you will be entered. This form of entry is limited to one entry per visit. This does not include Special Events. Option 3: Enter on Facebook by completing the sweepstakes form on The Proud Bird page, facebook.com/theproudbird or go directly to the Facebook Sweepstakes bit.ly/proudbirdfb to register. No purchase or payment necessary to enter or win this sweepstakes. Winner will receive a $1000 domestic airline gift card. Sweepstakes ends February 28th. Management reserves all rights.The information you provide will only be used for this sweepstakes purposes.